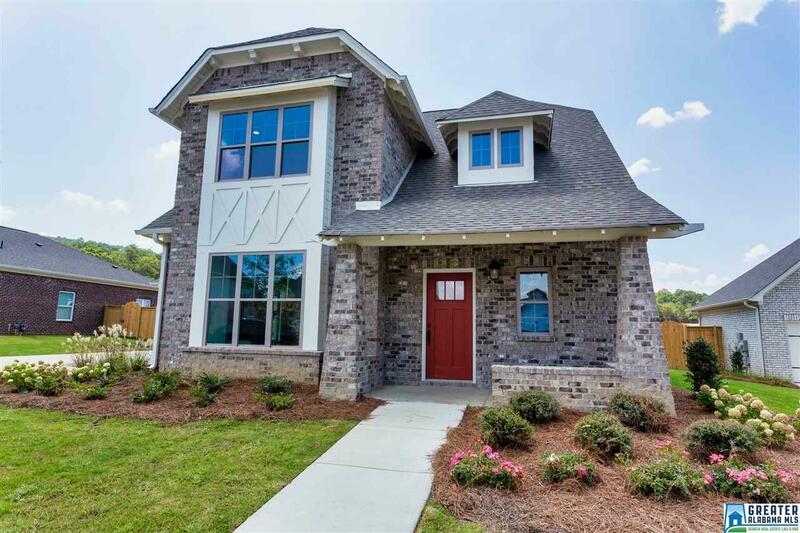 On a large, 80&apos; lot, the Franklin is a 4bed/3.5 bath open floor plan with painted brick. The kitchen with large island has quartz countertops, under counter lights, pull-out garbage can, gas cooktop with cabinet hood and built-in convection oven and microwave. Hardwoods throughout main living area. The living room has a brick fireplace with cedar mantle, built-in bookcases and bench window seat. Carolina Wainscot and tilt mirror dress the powder room. The master suite includes a drop-in soaking tub with quartz tub deck and Hudson tub casing as well as quartz countertops with undermount sinks. Guest baths also have quartz countertops. Don&apos;t miss the spacious covered patio overlooking the professionally designed landscaping which includes sprinkler system. All this and award-winning Oak Mtn School system.